The man who Prince Harry called his "real hero" is launching a fundraiser for a documentary about his recovery. 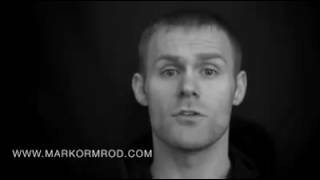 Mark Ormrod was injured in an IED blast in Afghanistan on Christmas Eve 2007. He lost both legs and his right arm, and became the UK’s first triple amputee to survive the Afghanistan conflict. Mark has used his recovery to inspire others through public speaking, writing a book and helping to train other amputees as a peak performace coach. Now he wants to film a documentary about his recovery, and has launched a campaign on Kickstarter to fund it. Listen to Mark telling Heart what it's all about here.